Droopiness of upper eyelids can be by birth, and that is called Ptosis. Besides that droopiness and heaviness also happens in healthy eyes with ageing. Heaviness feels more in the evenings after a long day’s work. People seek treatment for this because it is unattractive and makes the person look aged, but also because heaviness interferes with reading and in severe cases restricts the field of vision. 4. Ptosis: the weakness of eyelid elevating muscle can be by birth, due to injury or just related to ageing. Treatment of drooping eyelid requires a thorough assessment of the cause. 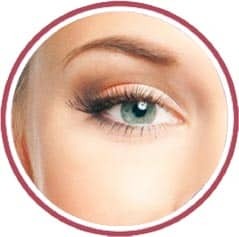 Treatment gives youthful, opened up, fresh look to the upper eyelid and relieves the heavy feeling. Viora RF treatment: This treatment tightens the skin of the forehead and thus raises the eyebrows. Which treatment is best for my heavy eyelids? An experienced plastic surgeon can diagnose the main cause of your problem and advise the treatment accordingly. Is upper eyelid surgery safe? In the hands of an experienced surgeon, upper eyelid surgery is safe. Results of surgery are long lasting. Botox effect lasts 4-5 months, and RF treatments need to be repeated as necessary.